Solid Brown Maple Counter height table features unique shelving, spool feet, and Rich Tobacco stain. Matching counter chairs feature curved legs, flared backs, and padded back and seats. 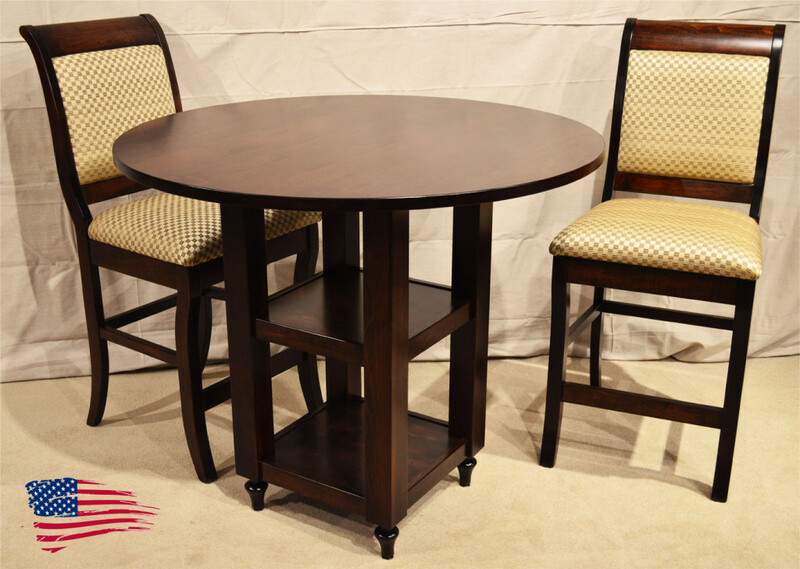 Table and chairs can also be ordered in standard height in a variety of wood specie, stains, fabrics, and leathers. Table: 36″h x 42″ round.